These are a pair of gloves designed by Pick’n run for the purpose of picking up trash. 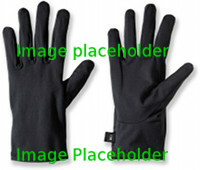 The gloves, mainly used during cooler weather, are similar in thickness as liner gloves for cold weather gloves. The gloves allow individuals to protect their hands when they pick up trash. * The price provided is an estimated price. The actual price, once the gloves have been designed, could change based upon the design and manufacturing costs.